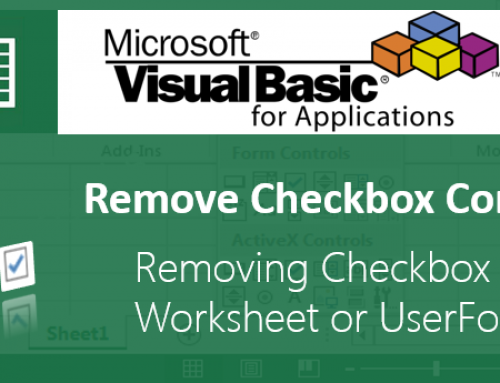 Read or Get Data from Worksheet Cell to VBA in Excel - ANALYSISTABS - Innovating Awesome Tools for Data Analysis! 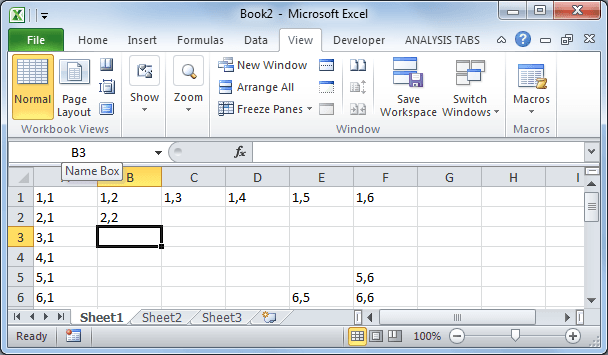 Its one of my first questions when I started learning EXcel VBA, How to Read or Get Data from Worksheet Cell to VBA? To automate any thing in excel, first we need to read the data in Worksheet and based on that we can execute the next steps. 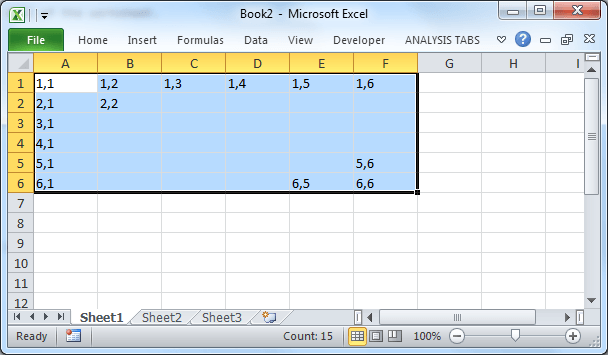 It is very simple to read the data from Excel to VBA. We can use Cell or Range Object to refer a Worksheet Cell. The following example will show you how to read or get the data from Worksheet Cell using Cell Object. In this example I am reading the data from first row and fourth column of the worksheet. Here is sample picture, which helps you to understand this concepts. Any Row or Column number start with 1 and You have to specify Cell(RowNumber,ColumnNumber) to read the data from a Cell of the Worksheet. The following example will show you how to read or get the data from Worksheet Cell or Range using Range Object. Here is sample picture, which helps you to understand this concepts. If you select any cell in the worksheet, you can see the name of that cell in the Name Box. When you are reading using Cell or Range object, it will read the data from Active Sheet. 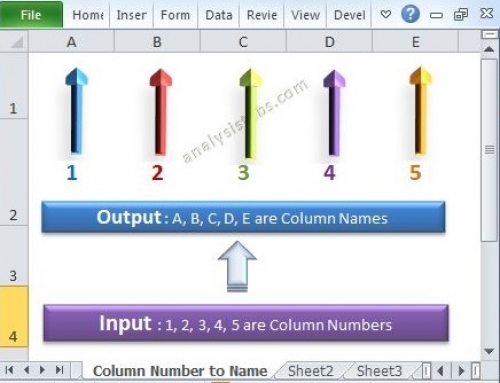 If you want to read the data from another sheet, you have to mention the sheet name while reading the data. In the same way you can mention the workbook name, if you are reading the data from different workbooks. 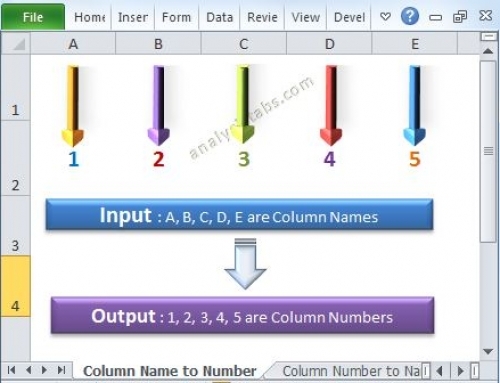 how to put this number alternately in Ms Excel 2007 using VBA. You can use formula “COUNTIF” for this. You can use Worksheet functions to perform this task. You can use CountIf or SumIf functions to create summaries based on criteria. I want to read all the rows from a cell in one sheet and compare with all the rows in other cell in another sheet and each rows should be compared and it is a string value present in the rows..please help me out in this. I have a User form with 5 textboxes, I want to put the value of a cell in the textboxes but the value in each textboxes are from different sheets. Can anyone help me with this situation. Need help. I want to create a new sheet in an existing workbook. But the name should be that i enter in cell B2 and then click on a create button. ‘actually i want for multiple values but will use the same logic. Anyone please??? i want to create a bottom when pressing, the data of the current sheet transfer to my matrix in my program,is it possible? The VBA codes regarding macros ex: copytopaste macro it works sometimes n some times it shows error user type not defined. Pls help me out. M getting irritation because berceuse of this. Requesting you to paste the code which is not working. I hav 3 sheets in the excel and i need to take a particular value from sheet one and subtract it with a particular value from sheet 2 and this shouls be displayed in sheet 3. In Column 1, Starting from A2, A3, A4, I have empolyee Code… like EMP1, EMP2 etc..
Now, from third party application I want to access this sheet using VBA and based on current date(From first Row) and EMP code (From First Column), I want to read corresponding value in that Cell, meeting corresponding.row and column. Required EMP code can be entered from my application to a variable in VBA. Anyone can me help out with this.. I am looking to write a script in excel to get the data from one sheet to another sheet in different way. like wise there are “n” number of emps..
it is wonderful. I am having one problem. We are having 600 rows and 12 column worksheet. Can I have a code for locating a particular value (key value) in the sheet and to displa ay the values of the row. Can you Help me to write a code to arrange the letters like below. Lets say if my input is 01234567890 – then the result has to be 34567890.012 and vice versa. But the program has to read the input from excel sheet automatically if I entered 1000 value in A column. It’s a lot more easier if you just write a formula for this instead of VBA code. i want to open a browser windows in excel sheet . how will i open?? Read Col1 -Lets say A from sheet 1, (loop thru each row in Col1), search the first value of Col1 which is A in sheet2 and get its corresponding Number which is 2 and write this in sheet1 in Col3. Can Anyone please help with this question. We can use two for loops to do this, but using worksheet function will be simpler. Here is the macro to Search For A String And Get The Corresponding Value From Other Sheet. I wants to cut this www for all the rows and I have to put it in another excel sheet . How to do this with VB script. Please help me , thanks in advance. Here is the code which will help you to solve your requirement. But Friend, It does not work throws error and i corrected the uotes which is in different format in the excel when i tried copy paste from here, after corrected its throws run time error like Run time error : 9 subscript out of range like that,. I have an excel master sheet that is created for every customer filename will change each time, the workbook layout is the same. I would like a macro to import some of the information from the master sheet, I have 3 sheets in the workbook, from each sheet I would need to copy few cell data (any range would be fine, i will change that to fit by needs) to a new workbook. I would like the macro button also to move down each time the new data is imported. New Workbook data range paste to A2:D2, next A3:D3 and so on. Below is the code i have so far. I have the names of all the workbooks which are listed on a worksheet called”filelist” saved in a workbook called “Read property and transaction data with macro to be run 070715.xlsm”. I need to get the workbook to open for all the the names listed in filelist worksheet and go to the tab called “GL Transactions” and retrieve a value from call AB12 and save it in the workbook “Read property and transaction data with macro to be run 070715.xlsm” under a tab called GL Total. How can I record a macro for this? How to retrieve a particular percentage of value(ex:get only 20% of data from sheet i.e out of 20 users,we need only 4 users name to be displayed) from excel sheet using macro? Find the last row and loop through the 20% of last row to fetch only 20% of the data. I would like the macro button which is importe new data from sheet1 and paste on sheet2 A2:D3 but when new data inserted in sheet1 the range of sheet2 will be A3:D3 and so on. I want to select and print the worksheets in a workbook whose cell, (I22), contains a value greater than one (1). have searched high and low, but in vain. The actual excel on which I’m working consists of 11 Columns, and have to deal with 300 to 350 rows at a time, which is a cumbersome task. Hi, I want to add data from cells to an inputbox, do you have any clue on how to do that? One Excel File (Table 1) containing Roll Nos. of candidates with other details like name, address, contact No., Email Id etc. for 2000 candidates and other Excel File (Table 2) containing only Roll Nos. of 200 candidates which are same as in Table 1 so I want to add other column details in Table 2 (only for 200 candidates) by retrieving records from Table 1 by searching Candidates Roll Nos. from Table No. 2. How it can be possible in Excel. Ok. So this problem is getting on my nerves for some time now. I made damage calculator using macros. Works pretty good. Now I want to add temporary hit points into account. So, basicaly, I need to deplete TempHP first and with every dmg calculation to see if there is any TempHP left. So with every calculation I need to check the value of TempHP cell and DMG cell, then do TempHP – DMG (7-2) and the result should be new TempHP value (5). And when DMG is bigger than TempHP do the following: HP – (DMG – TempHP) and set TempHP to 0. I need to read value from column A excl sheet and export those value in txt file . I want to select the data and month from the Date in cell(a1)(containing formula) and file 2016-06-07 ABCD should be opened using that date and month. I want to copy a cell’s value to another cell, but the cell on which, the value will be pasted, that cell’s number will be directed from another cell. Please help me how can i do this ! Thank you….. I have some ComboBox – 8No’s and TextBox -40No’s in Sheet1 and our employee details (Emp.ID, Name, Date of Birth, Email, Contact Numbers) in Sheet2. I need to display employee id in Combobox 1 to 8 and when i select anyone employee id in ComboBox then his all details wants to display other Testboxes in Sheet1 as per below. But (Sr.No) not in Sheet2 database. Anyway i need to display when i select second Combobox, then Sr.No wants to display number-2 automatically. Kindly anyone give a solution to solve my query. Sr.No	Emp. ID	Name	Date of Birth	Email	Contact No. Hi, this is wonderful platform and thank you all for yours comments! 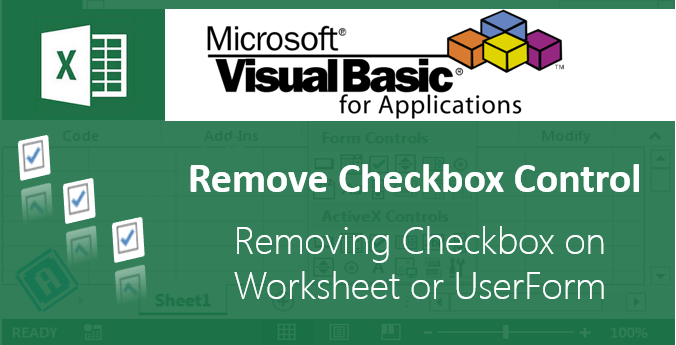 I’m pretty new in VBA and I’m finding this very helpful. Supposing I have excel file that has huge informations capture in it and these informations could be actions, time the action was done, number of actions performed for several users and are all ranged columns per user. How should write a script to extract this data based on those that user performed with <3 minutes, compute totals number of actions done by all user in specific time slot, categories the number of activities done in range of <2,3-4, 4< time difference. I will be very delighted. I have 3 different excel sheets which contain my client reviews with respect to Date as header followed respective dates in 1st column and 2nd column contains reviews as header followed by reviews. .
so in all files i have same dates for eg: date : 23.06.2016 will have minimum of 30 reviews in each sheets, so wen i combine its taking too much time to open one file and filter and copy vice versa. Help me out with VBA coding so that i can pull out those datas easily into my master file with respective to dates.am having terrible n doing in this. Dear All how can I get the value in spread sheet (for example day and month) and use it as reference value to plot the point in VBA? Can you please explain it?? I am trying to genrate text file from Excel via VBA and successful. Can anyone help me pleas. I am trying a scenario in which I have a Mini Invoice and my requirement is to save the data of the invoice and need to retrieve the saved data based on Invoice Number. I request to help me in this scenario giving the desired code. I have an excel database. I want a person’s all data by using only his / her mobile no. Is it possible by using VBA programming or other programming? Yes, Please let us know data structure. So that we can help you. How to read a file stored in excel sheet through vba. I have a file path in cell A1 through A10. How to read each files contents and base64 encode it to store it in a string. 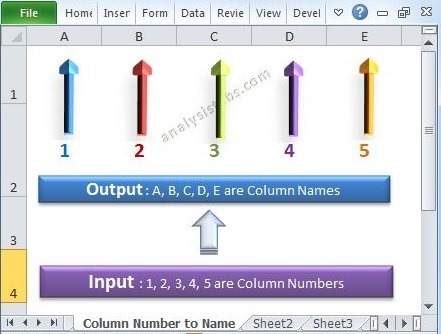 Hello, I have Category in column A and number of teams in column B and I already can create automatically worksheets with the names on column A, but now I want to paste on each new worksheet the data corresponding to the number of teams in column B.
I already named the ranges so whenever I have e.g. 6 on column B , I just need to select data range _6 and paste it on A1 on the new worksheet. Can you tell me how to code this? ‘ How to call ? Sumbycolorto ??? Can any one show me how to write a macro which reads values from a sheet with two columns consisting of dates and numerical values and calculates slope from these values but writes value of slope and date when slope changed from positive to negative and visa versa and ignore all values and not write only the date and slope at slope change only. How can I run those functions within a dynamic range in vba? Basically, how can I run a function if it’s written as text in a cell?